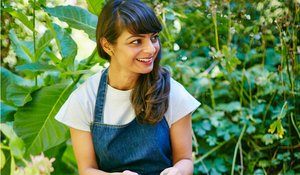 Meera Sodha has revolutionised how we think about modern Indian food with her best-selling cookbooks packed with vibrant, accessible and flavourful recipes. 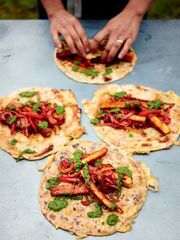 Indian cooking embraces vegetables, pulses and earthy spices that mean it's easy to skip the meat and dairy altogether, and Meera's vegan recipes show you how to do just that. 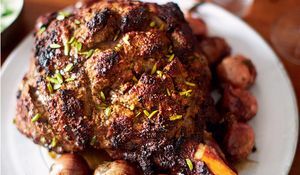 Here are a mix of our favourites. 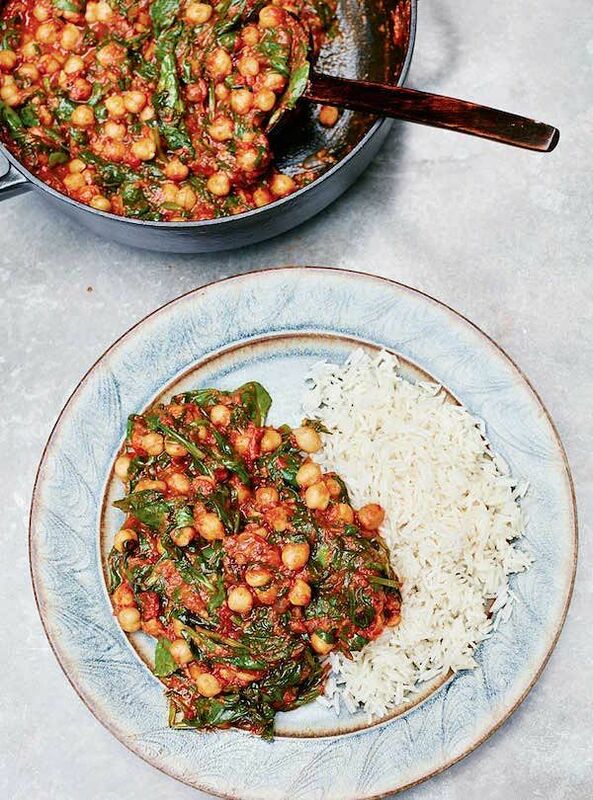 A classic and simple dish from Meera Sodha's vegetarian cookbook Fresh India, this Spinach, Tomato and Chickpea Curry recipe is packed with flavour and, served with basmati rice or chapattis, makes a satisfying veggie main. 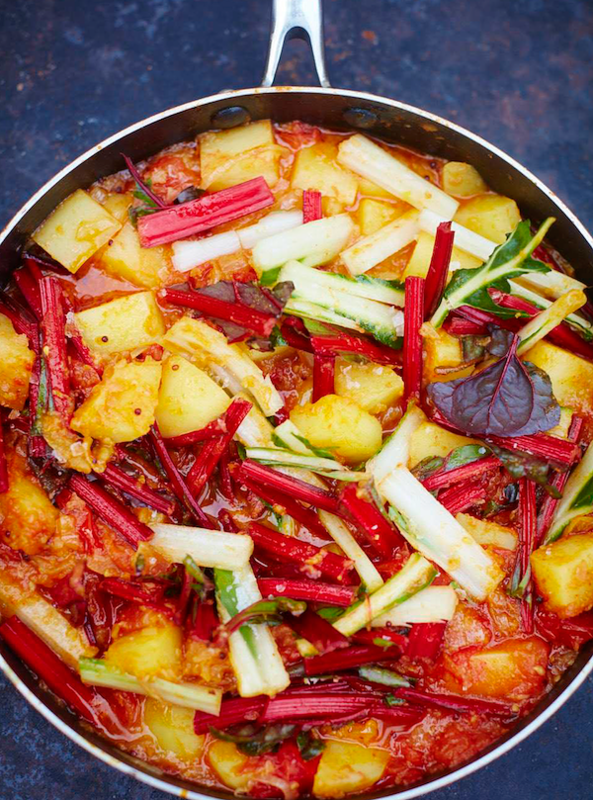 Ready in under 30 minutes, this Rainbow Chard Saag Aloo combines classic British staples with a classic Gujarati spicing of cumin, coriander, turmeric and chilli. 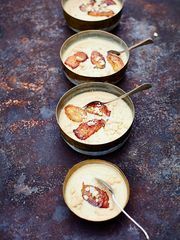 From the Fresh India cookbook. 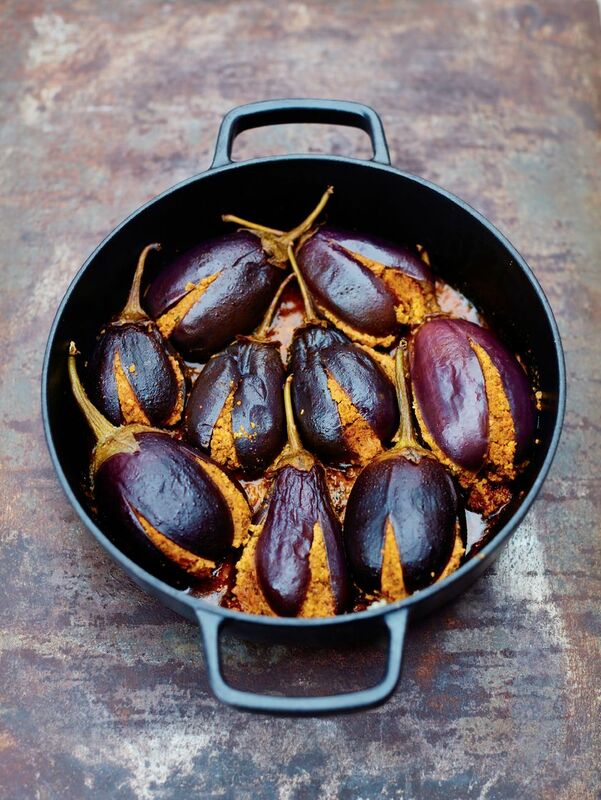 Baby aubergines stuffed with peanut and coconut is a Gujarati classic. 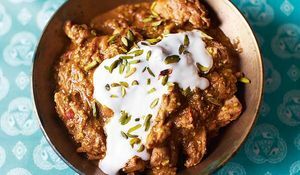 Delicious served with a cucumber and mint raita, and rice or chapattis, this is another stunning recipe from the Fresh India cookbook. 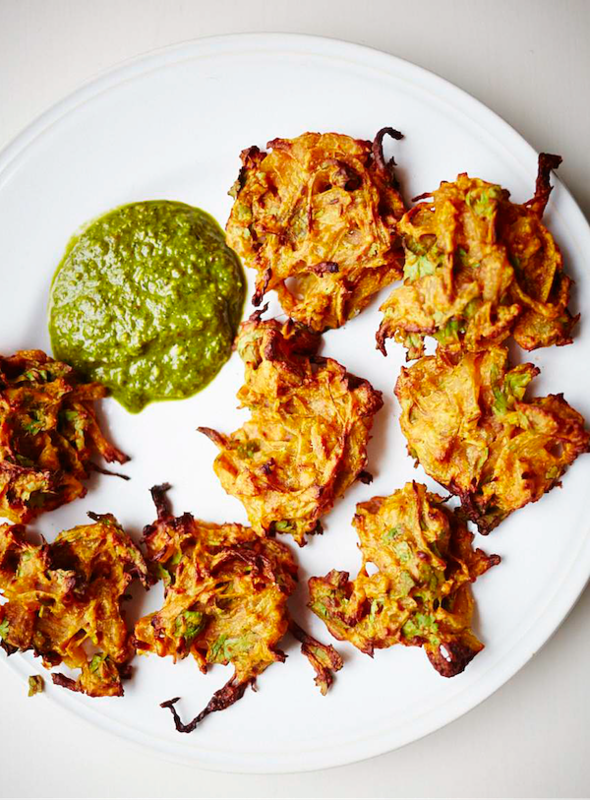 Meera's Baked Onion Bhajis from Fresh India are a healthier alternative to the traditional deep-fried version. 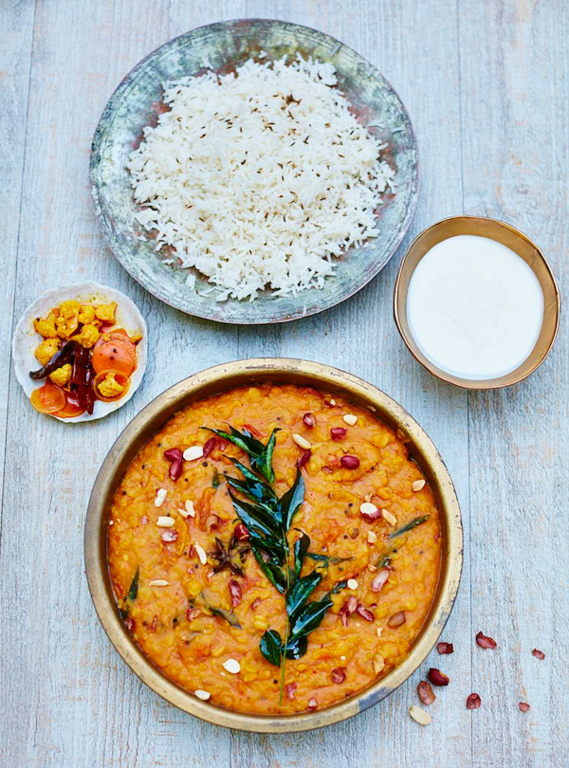 Meera Sodha's Gujarati Dal from Fresh India is elevated with the flavours of peanuts and star anise, making this staple dish into something really special. 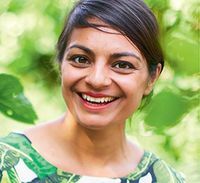 "When you want something simple", says Meera, "not much beats a tangle of soft buttery cabbage with sweet caramelized onions and crisp potatoes". We couldn't agree more. 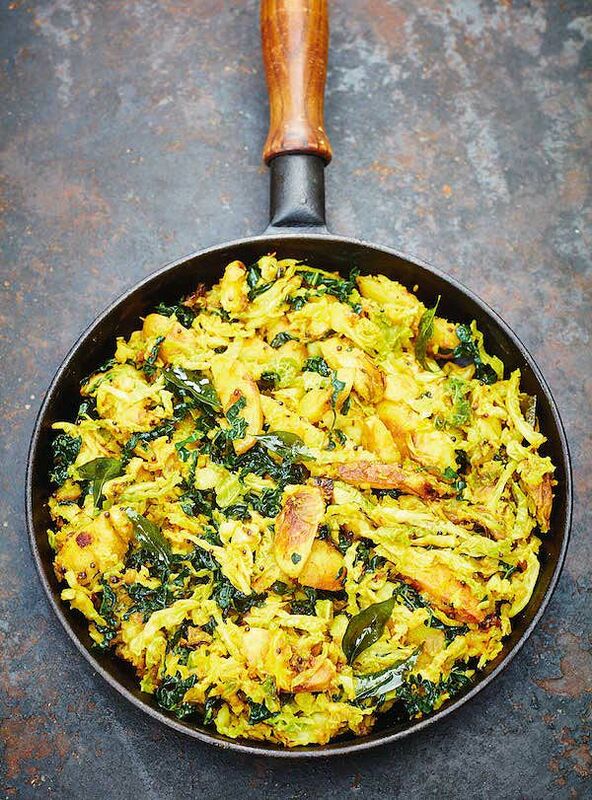 Try this cabbage, kale and potato curry from the Fresh India cookbook. 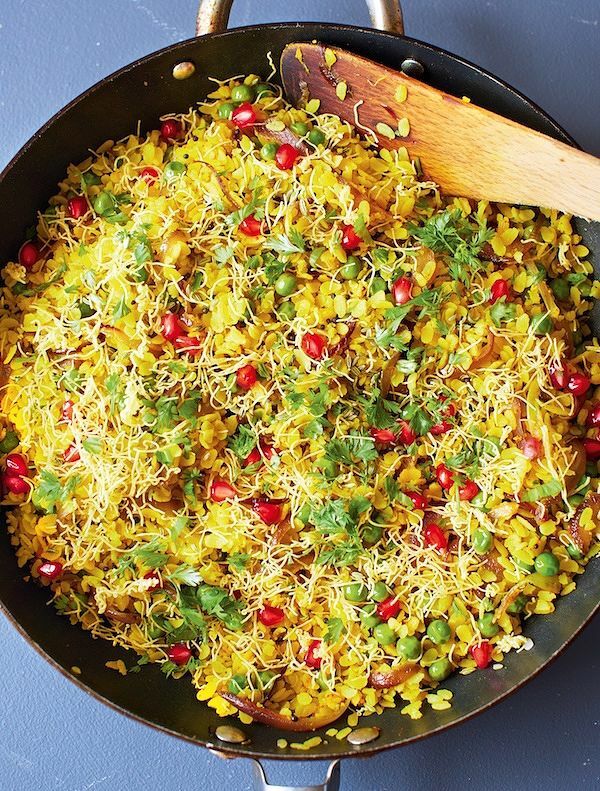 Poha is an easily digestible form of raw, flattened rice, which is commonly eaten across India. 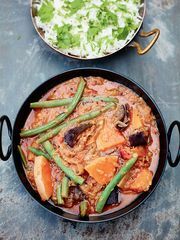 Spiked with pomegranate and fennel seeds, this poha recipe from Meera's first book, Made In India, is incredibly simple to cook and makes a wonderful light lunch dish. Who's the author? 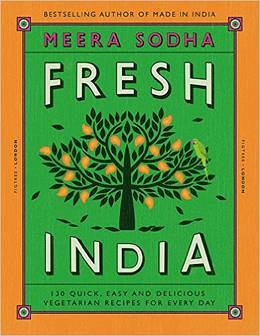 Meera Sodha, food writer, blogger and author of the best-selling Made in India. 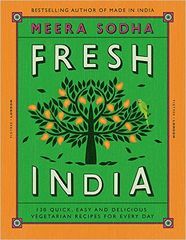 Vibrant, fresh and simple, Meera Sodha's curry recipes will change the way you cook, eat and think about Indian food.